Navajo Bridge is a pair of steel spandrel arch bridges that cross the Colorado River near Lee's Ferry in northern Arizona. 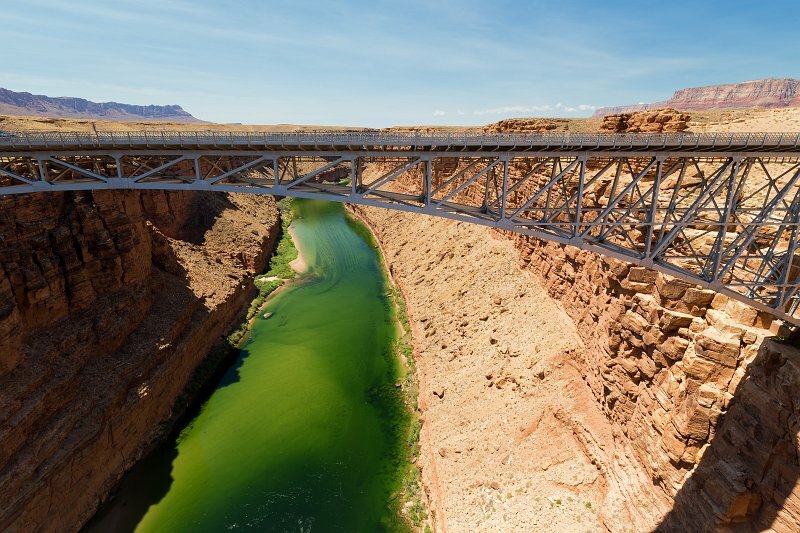 The newer bridge of the pair carries vehicular traffic on U.S. Route 89A over Marble Canyon between southern Utah and the Arizona Strip, allowing travel into a remote region north of the Colorado River including the North Rim of Grand Canyon National Park. Prior to completion of the first Navajo Bridge, in 1929, one of the only Colorado River crossings between Arizona and Utah was located about 8 km (5 mi) upstream from the bridge site, at the mouth of Glen Canyon where Lee's Ferry service had operated since 1873.